The Organic Acids Test (OAT) offers a comprehensive metabolic snapshot of a patient’s overall health with over 70 markers. Includes mitochondrial function, detox markers, brain neurotransmitters, B vitamins, antioxidant need, yeast and bacterial markers, carb and fat metabolism. 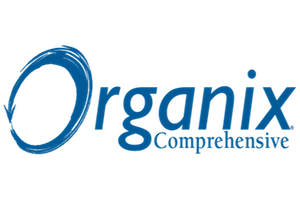 The Organix® Comprehensive Profile is a nutritional test providing insights into organic acids and a view into the body’s cellular metabolic processes. Additionally, children’s reference ranges are designed to provide more accurate pediatric nutritional evaluations. Identifying metabolic blocks that can be treated nutritionally allows individual tailoring of interventions that maximize patient responses and lead to improved patient outcomes. 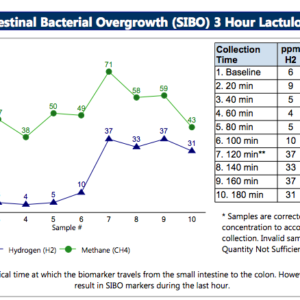 Full review of the patient’s biochemical status and metabolic pathway flow can help identify areas of greatest concern. Follow-up nutritional testing can monitor the effectiveness of selected treatments. Extensive Analyte List – The Organix® Comprehensive Profile is a nutritional test which contains one of the most extensive biomarker lists in the industry. Including nutritional markers such as Quinolinate, D-Arabinitol, and 8-Hydroxy-2’deoxyguanosine, the Organix® offers great value. Innovative Method – The LC/MS-MS method, which is also used to screen newborns for metabolic disorders, requires very little sample preparation and processing. This technology provides more stability, accuracy, and sensitivity in measuring organic acids at low levels for optimum test results. Single Urine Specimen – A single overnight urine collection is easy for patients, leading to increased patient compliance. If you want to see if you qualify for insurance coverage for this test under Easy Pay A, copy this website link into your browser: https://www.gdx.net/patients/billing-and-payments/insurance. Easy Pay A is $159. Patients only.